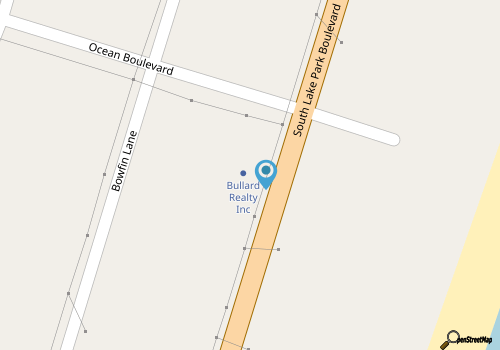 Since 1984, Bullard Realty Inc. has been helping families of all varieties in finding the ideal home on Carolina Beach and Kure Beach for a wonderful vacation, or a solid investment that will last a lifetime. Offering more than 30 years of experience, this trusted vacation rental, property management, and real estate sales company is a solid and longstanding resource for all-things-vacation on the aptly named Pleasure Island. Bullard Realty Inc. represents a wide array of properties for vacation renters, which includes vacation condos, charming beach cottages, and oceanfront sandcastles that are just steps away from the beach. Friendly staff are happy to help visitors map out their accommodations from start to finish, while buyers and sellers who need help navigating the local real estate market along the coastline will also find professional and ample help via Bullard Realty’s team of real estate agents. Though a smaller company, Bullard Realty Inc. utilizes modern technology, personal service, and attention to detail to ensure all their clients are happy – whether they are staying for a week or two, or for a lifetime. From reservation to departure, Bullard Realty Inc. is a great option for visitors who want to explore the Pleasure Island landscape and beyond. Call 910-458-4028 for current hours.